We've taken the Diamond Fish and added a wide squash tail lowered the rocker and added vee and deep double out the back. ​We designed this board for riding very small gutless mush. By giving this board a very low rocker and wide tail allows this board to fly over flat spots. Added vee out the back allows the board to turn in tight spots which makes it a performance machine!! Very low rocker with a slight flip in the last 6 inches of the nose. Single to deep double to vee. Five boxes. Ride it tri, quad or twin. 1 to 48 inches. Weak to slightly punchy. 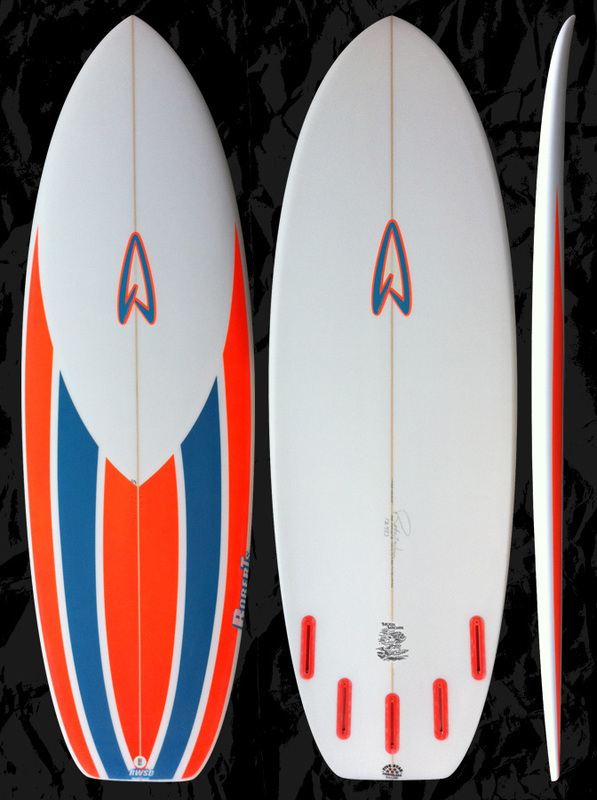 Order this board 6-9 inches shorter 1 1/2 inches wider and 1/16 - 1/8 inches thinner than your high performance short board. Or 1-3 inches shorter 1/2 inch wider and 1/16 - 1/8 inches thinner then your White Diamond.